ICC World XI is set to tour Pakistan this September for a T20 series. The 14-member squad has been announced and it contains some big names in world cricket. 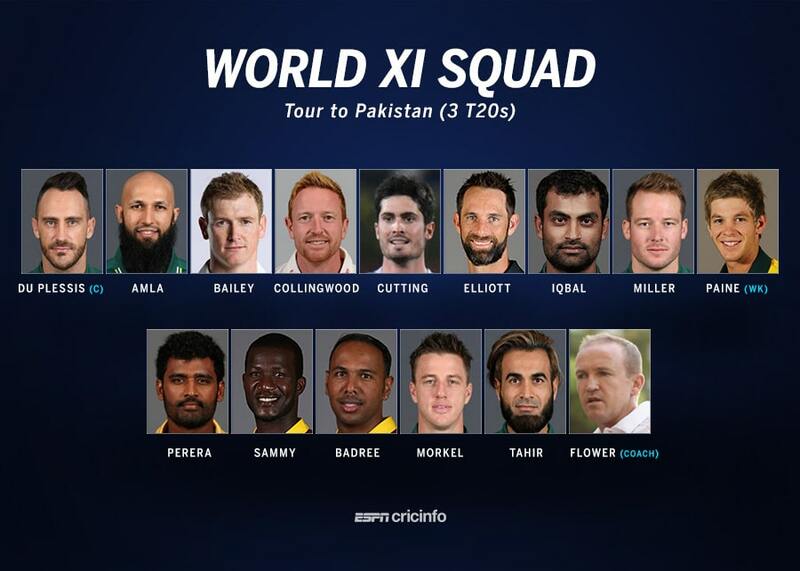 Players from South Africa, West Indies, Australia, New Zealand, Sri Lanka, Bangladesh, and England will be seen playing in the upcoming World XI tour to Pakistan. 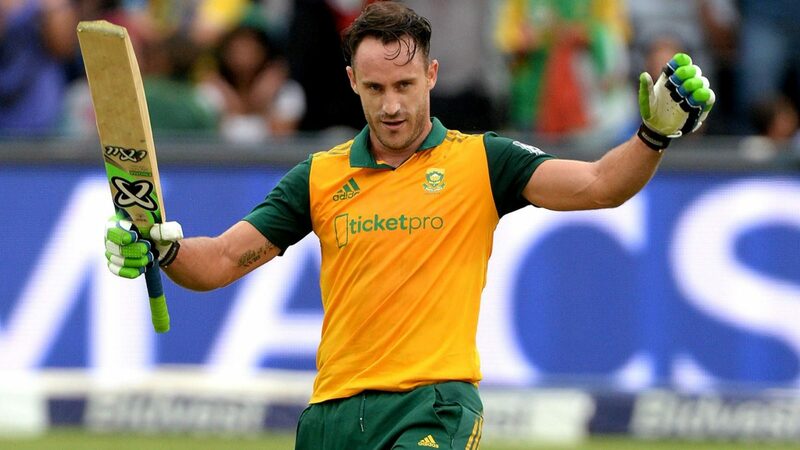 South African Test and T20 captain, Faf du Plessis will be leading the World XI side on the Pakistani shores. He will be accompanied by four more South African players including Hashim Amla, Morne Morkel, David Miller, and Imran Tahir. One each player from Bangladesh (Tamim Iqbal), England (Paul Collingwood), New Zealand (Grant Elliot) and Sri Lanka (Thisara Perera) will also be part of the side. Tim Payne (Australia) will be the wicket keeper, while other Australian players include George Bailey and Ben Cutting. The crowd-favorite Darren Sammy, or as some lovingly call him Sammy Khan Shinwari, and Samuel Badree will be flying from the Caribbean to Pakistan. Former England coach Andy Flower will be the coach for World XI. The three-match T20 series, which has international status, will commence on September 12. The matches will be played on 12, 13, and 15 September at the Gaddafi Stadium, Lahore. All the participating players are very excited about their tour to Pakistan. Everyone has shown full faith in the security arrangements. “I am honored to have been appointed as captain of such a diverse, attractive and well-balanced side. Like most of the players, I look forward to my maiden tour of Lahore and play my part in the safe and gradual resumption of international cricket in Pakistan”. “All the members of the squad have complete faith and trust in the assessment and judgement of the security experts who have assured us that there will be no compromise on the safety and security of all those involved in the series but the bottom line is if we don’t feel safe, no amount of money would get us there. In this background, we will land in Lahore with nothing but cricket on our minds”, he said. This series is the beginning of what may be called as a home season after 8 long years, with Sri Lanka and West Indies to tour Pakistan later this year. tickets price and where to get??? Welcome to Pakistan, really happy moment. Lol, Why are you Indians are pissed off by hearing this? You should be worried about your sponsored pigs who are carrying bomb blast in Pakistan. Everything will happen safely. We’ll each of the element involved in the killing of our innocent citizens. Then what you’re doing here? F**k off.